I recently created artowork for a line of puzzles based on the game Skateboard Madness (which I created the character designs and illustrations for). 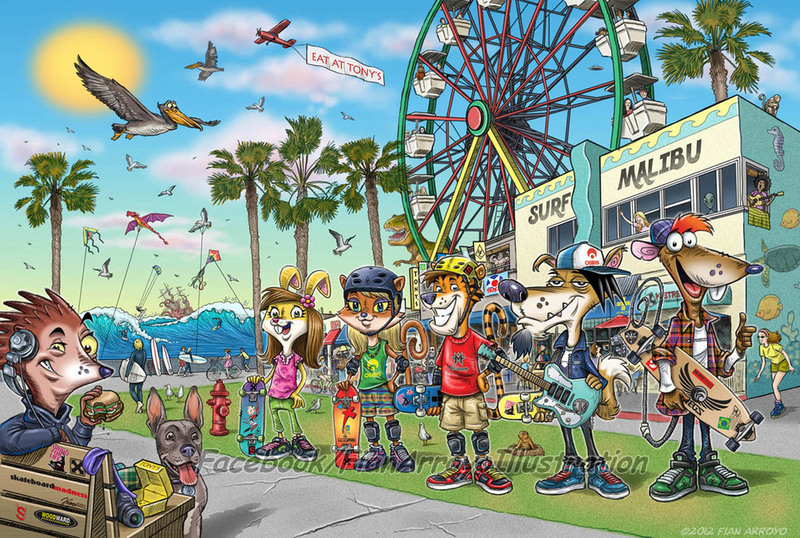 It started out as a regular beach scene with the characters but then as it evolved, I turned it into placing as many out of place images I could think of and turned it into a "guess what doesn't belong in this picture" puzzle. The client loved it! Waddayathink? Click on image to enlarge...thanx!